And she's got her push-present on display! 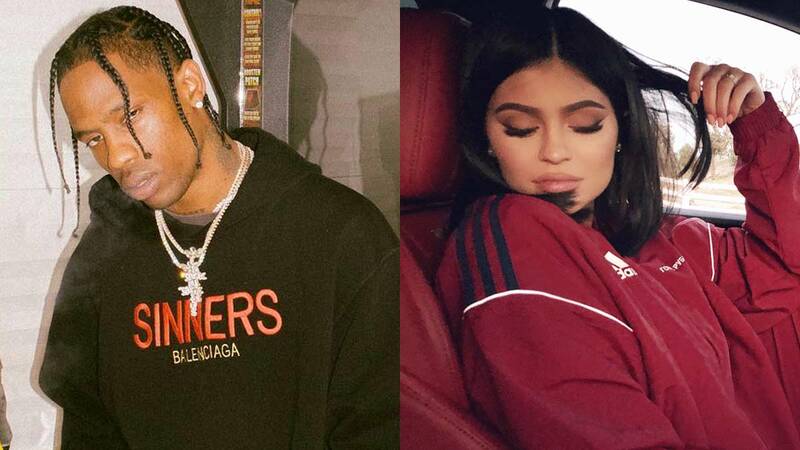 Kylie Jenner and Travis Scott made a very rare public appearance together just weeks after she gave birth to their daughter, Stormi Webster. Unfortunately, I can't tell if Kylie is wearing her new signature trademark, the fanny pack, but something tells me it's hidden behind that giant blanket-coat-thingie. Kylie and Travis arrived at Nobu in Malibu in Travis' push-present to Kylie, a 1.4 million dollar Ferrari LaFerrari. A push-present is a gift given by a man to his lady for pushing out their bundle of love. Of course, Travis went all out—this is Kylie Jenner, people! Nothing but the best! The 20-year-old media mogul hasn't been in public much since it was presumed she was pregnant with her first child with boyfriend Travis Scott. On Feb 1 she gave birth to their daughter, Stormi Webster. She added: "Pregnancy has been the most beautiful, empowering, and life changing experience I've had in my entire life and I'm actually going to miss it. I appreciate my friends and especially my family for helping me make this special moment as private as we could."